With the last day of school upon us, I knew I wanted to do something fun and different for the end of the year Teacher Gifts. I wanted something that would stand out, and be a nice reminder all summer long of all the great work teachers do to help their students throughout the school year. 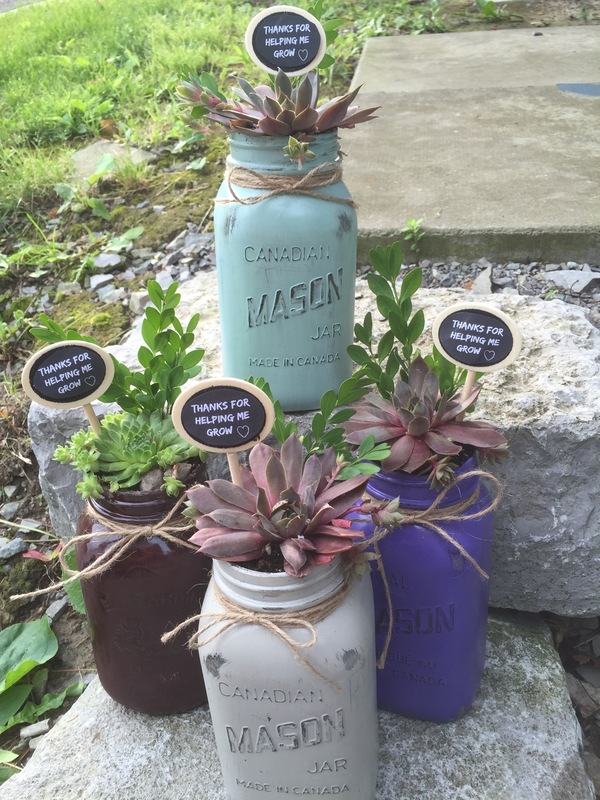 These are my mason jar succulents. 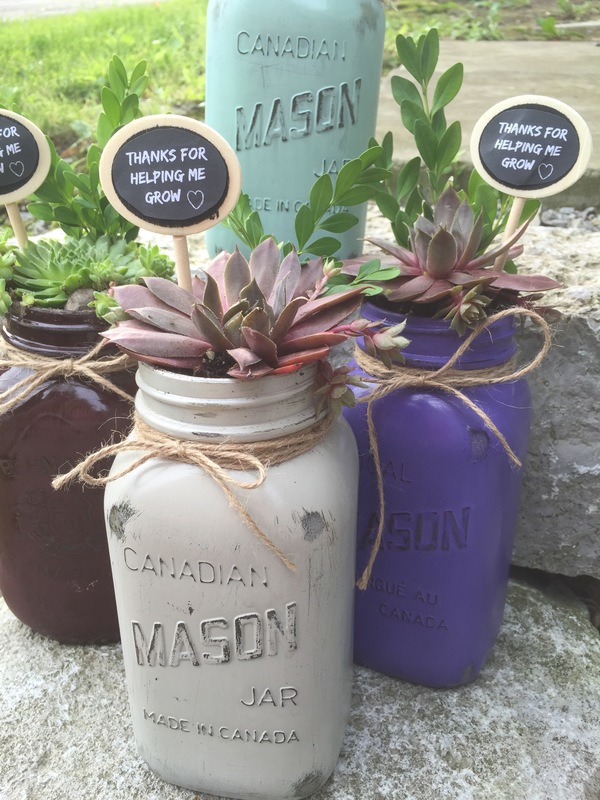 I used old mason jars, purchased for $1.00 each at a thrift store, and simply filled them with pretty succulents, and a cute chalkboard that says “Thanks for Helping me Grow”. 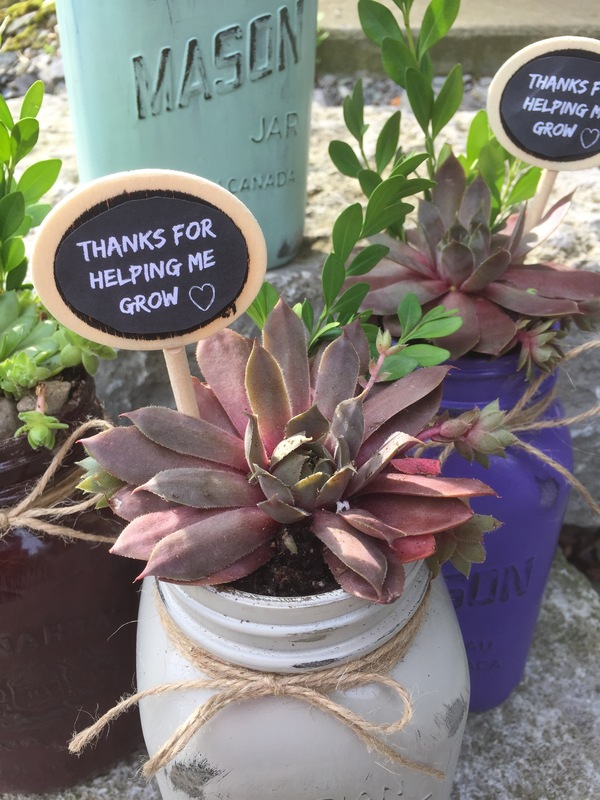 The only items I bought were the mason jars, the mini chalkboards ($1.25 for four), and the succulents, which cost $3.98 for a set of three. I bought two. 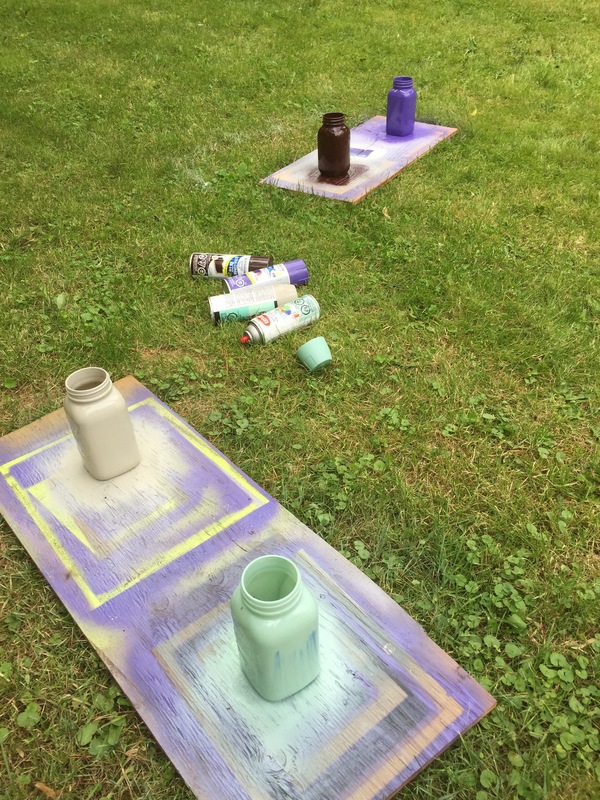 I already had the spray paint on hand from other projects. 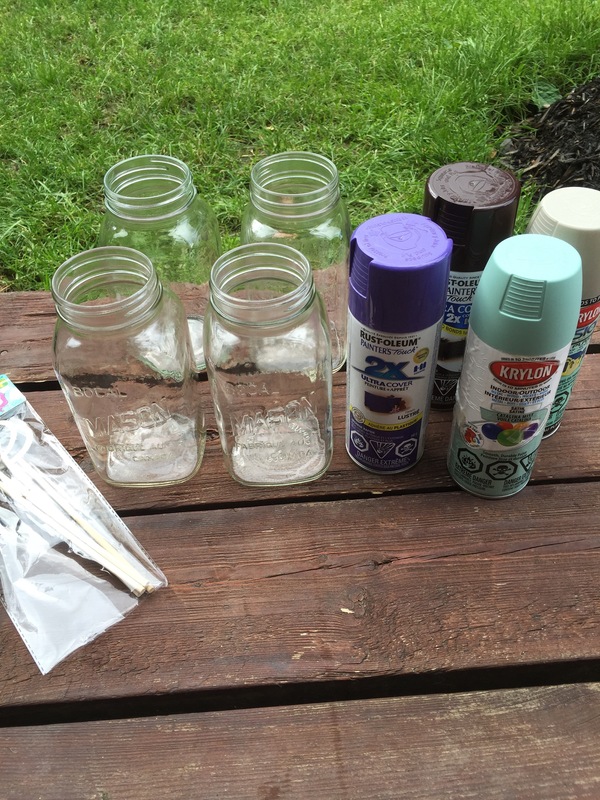 Here are the jars getting their first coat of spray paint. 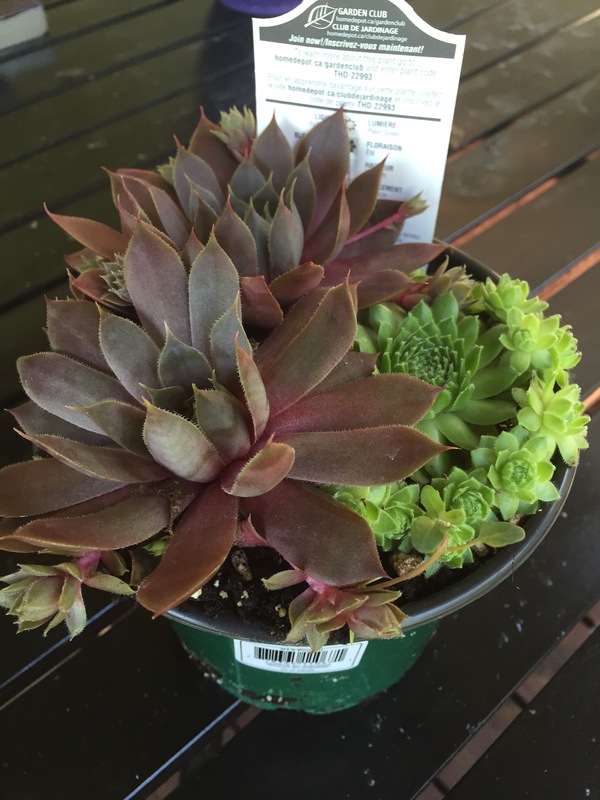 These are the pretty succulents I picked up from the Home Depot. 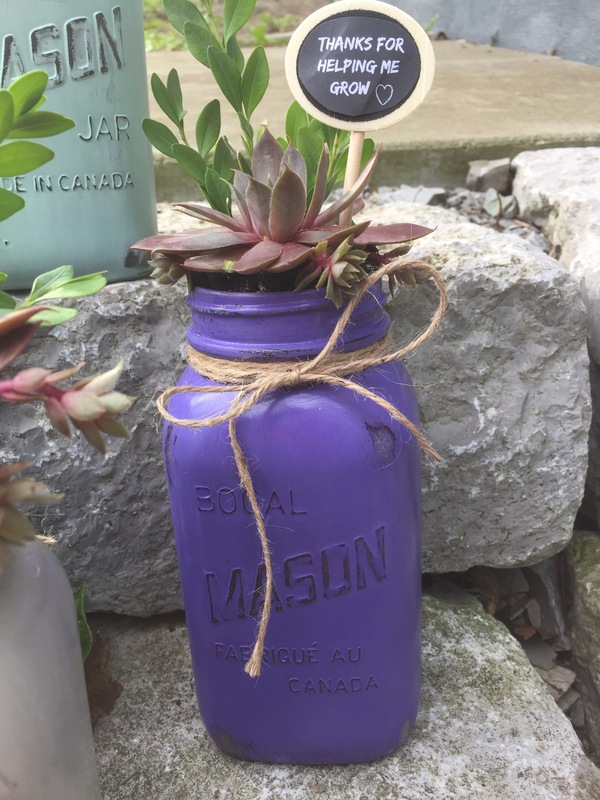 They separate easily from each other for easy planting into the mason jar opening. 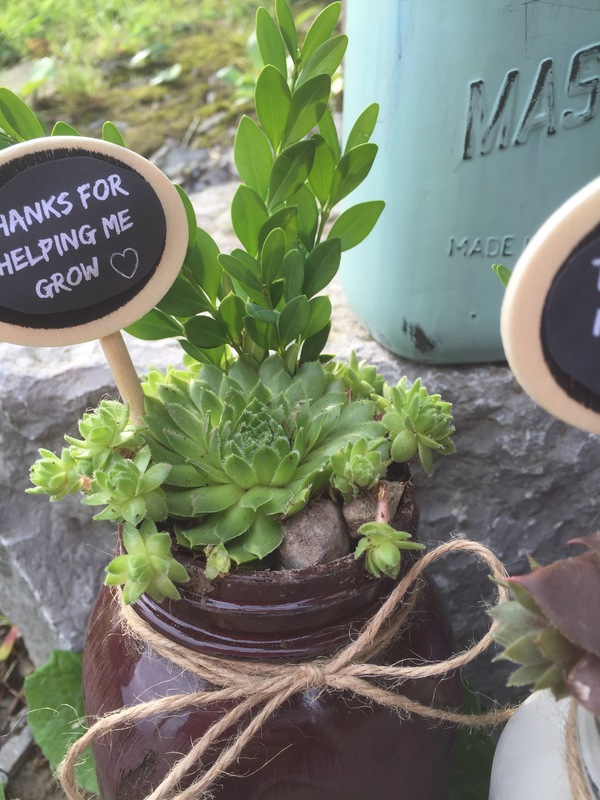 I put a few small stones in the bottom of each jar for drainage, then filled it with dirt from my garden, with the succulent on top. I then used some jute twine to tie a cute little bow on the front. 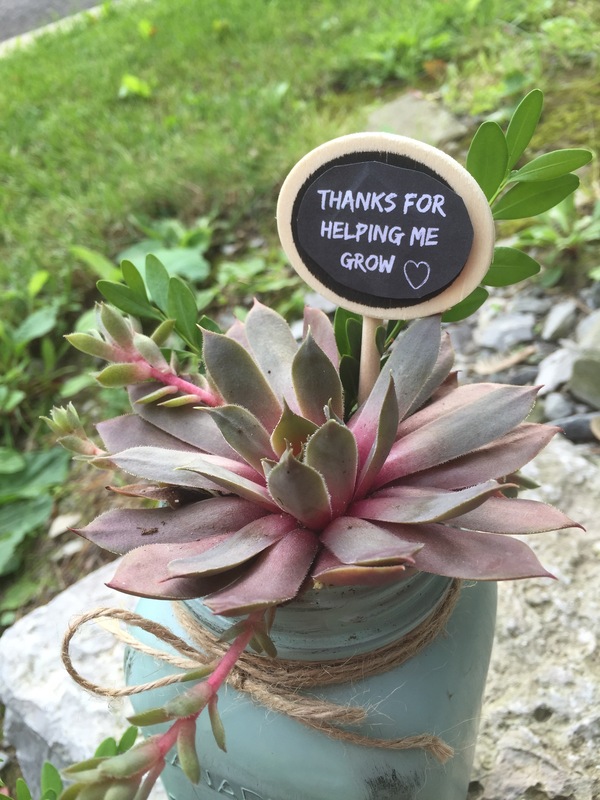 The mini chalkboards were far too small to actually write on, so I printed off a cute thank you, cut it out, and taped it in place. I finished it off with a little clipping from my favourite boxwood to add a bit of dimension and interest. For this one, I was able to add a few little stones on top for decoration. Here they are, all finished. I love how they turned out. I sure hope the girls’ teachers like them. That’s it for today’s post everyone. Have a great weekend, and I’ll be back again next week with a new post for the #30DayFlip challenge I’m taking part in. 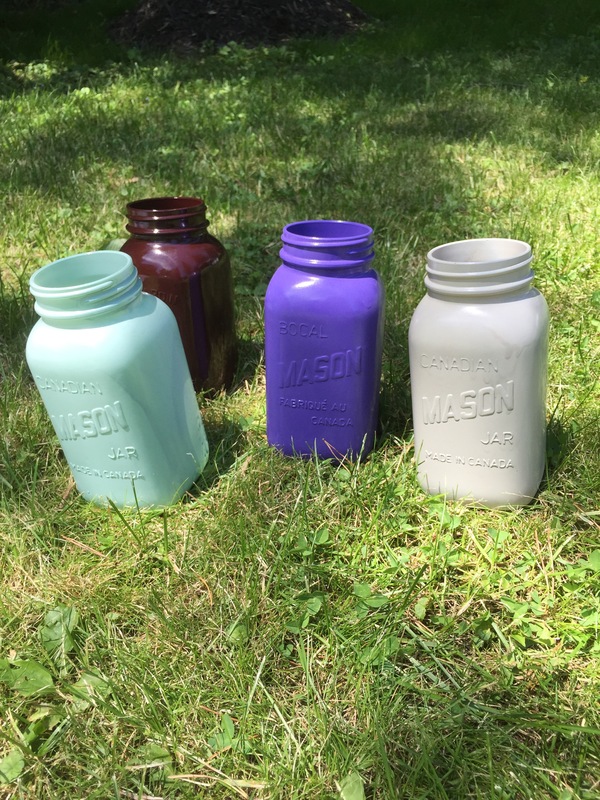 The topic for the month of June is a DIY knock-off of an item found in an expensive department store (Restoration Hardware….. I’m looking at you…. ), or from a pic found on Pinterest. 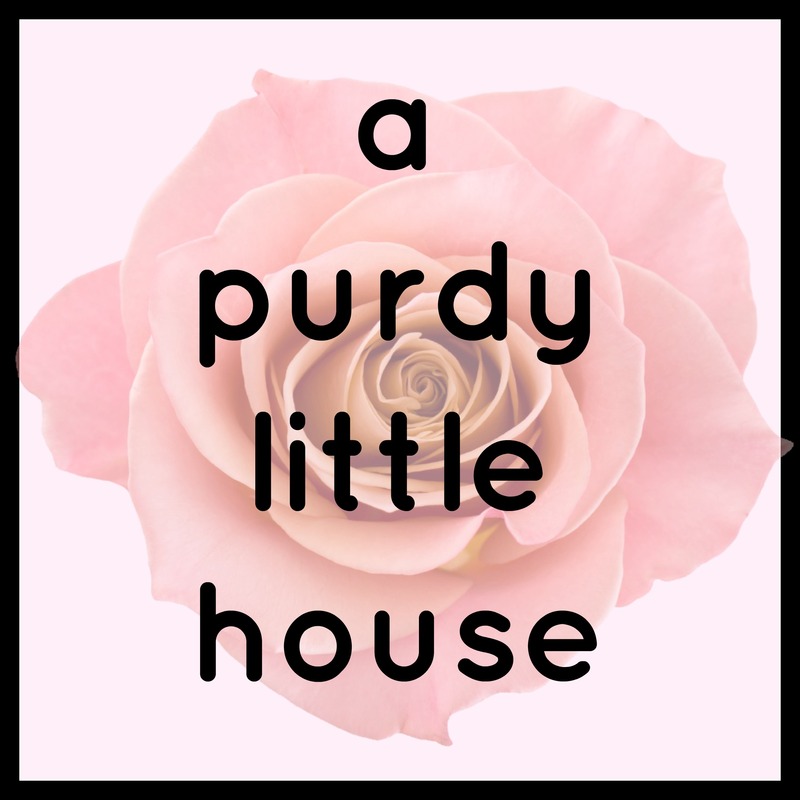 My knock-off has to do with a skeleton, and an mini apothecary cabinet….. That’s all I’m going to say….. It’s going to be epic (I hope). These are adorable fantastic idea!